This weekend, Broadway says goodbye to two big, splashy, dance-filled musicals Bullets Over Broadway and Newsies. And while it will be hard not to hop over to the St. James or the Nederlander to pay a visit to our pals, these shows will be with us long after they are gone.Below BroadwayBox has your survival kit for when you get that Bullets/Newsies craving. For Bullets, it's got to be Nick Cordero's "Up a Lazy River." Newsies: "That’s Rich" may not be sung by a newsboy or by Katherine Plumber, but it's a real showstopper and should be recognized as one of the best songs in the Tony-winning score. Bullets: Marin Mazzie's second song "I Ain’t Gonna Play No Second Fiddle" is pretty insane. Expect it at piano bars and senior recitals for years to come. 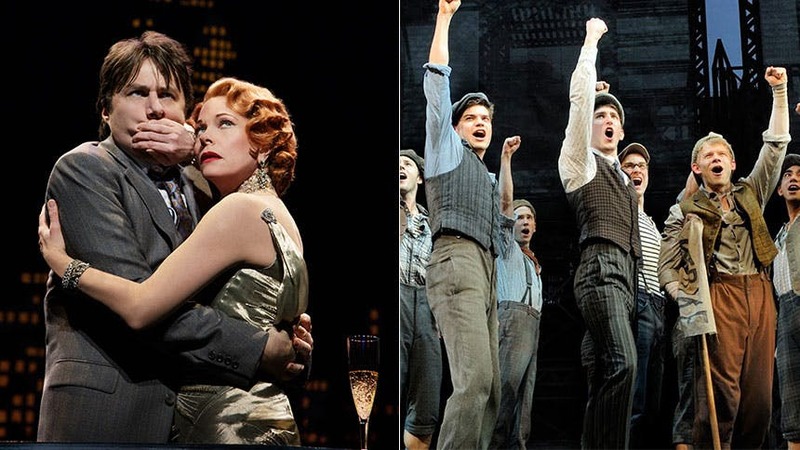 Bullets Over Broadway and Newsies continue on Broadway until August 24.